GOKPOP | Exclusive K-News in Malaysia & Singapore: The 'Boyfie' Nam Joo Hyuk is coming to Kuala Lumpur on 21 Oct, ticket sales starting from 23 Aug! 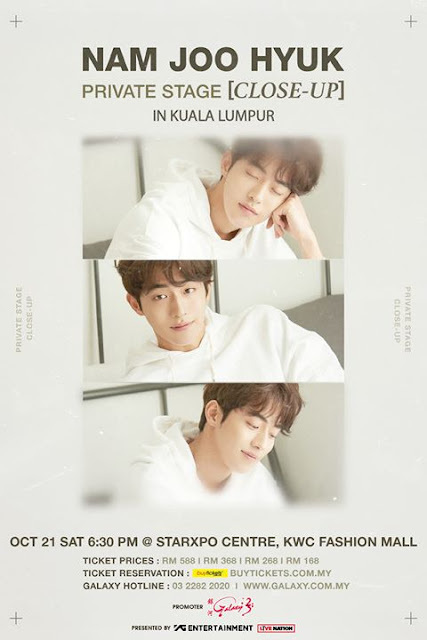 The 'Boyfie' Nam Joo Hyuk is coming to Kuala Lumpur on 21 Oct, ticket sales starting from 23 Aug! Nam Joo Hyuk fluttered fans' heart whenever he appeared in a drama or variety show and so he even has the nickname as 'Nam Boyfie'. Organiser, Galaxy Group recently announced that Nam Joo Hyuk will make his first appearance in Malaysia through his Asia Fan Meeting Tour, 'Nam Joo Hyuk Private Stage [Close-Up] in Kuala Lumpur' which will be held on 21 October 2017 (Saturday) at StarXpo Center, KWC. 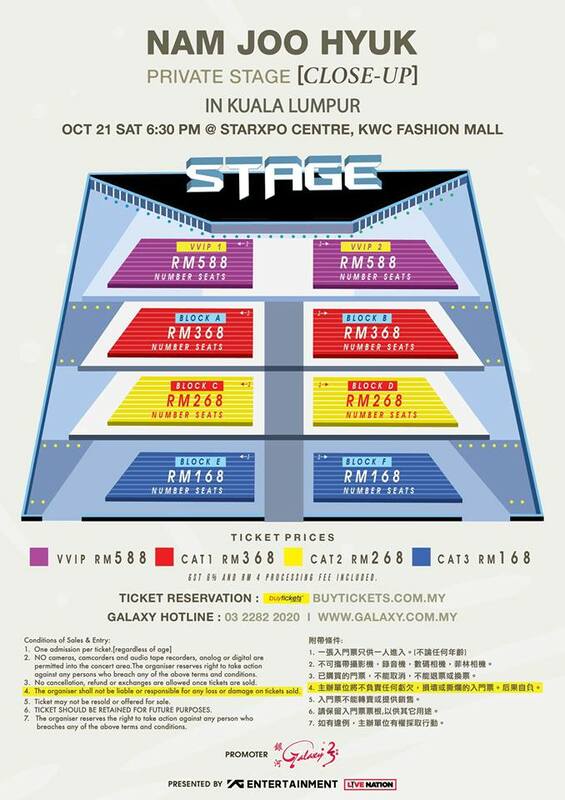 The tickets will be on-sale starting from tomorrow (23 August), 12 PM onwards via www.buytickets.com.my. For more information, you may contact the organiser, Galaxy Group at 03-2282-2020 or search it at www.galaxy.com.my.